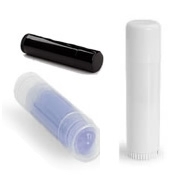 Not only are we one of the largest suppliers of private label lip balm, lotion base and other unscented bases, but we are a huge supplier of plastic bottles and plastic jars. As a huge end user of plastic bottles, jars and other containers, we stock hundreds of thousands of each bottle and get phenominal pricing. We decided to pass this amazing plastic bottle pricing on to our customers and make it available on small orders. If you don't see a plastic bottle or plastic jar below that is right for you, let us know. We can get almost any plastic bottle you need on orders over 10,000 pieces. We have the best prices in the USA on unscented bases includingunscented lotion base and wholesale lotion base. We sell more unscented lotion than most manufacturers in the country and probably in all of North America. In fact, tens of thousands of small businesses use our wholesale lotion base to produce their products because of the quality and price. If you need great bulk bases for your product line you have come to the right place. Give our cheap lotion base or other unscented products a try today and you will never try another lotion base again, GUARANTEED. We would also like to encourage you to search our website and see all that we offer. We carry an extensive line of all sorts of soap making supplies including bottles, fragrance oils, massage products and so much more. Give our Wholesale Unscented Lotion Base a try today! Plus, don't forget to email us if you have any suggestions of how we can make our site better. We strive to be the best we can be and suggestions are always welcome.